Due to the barangay’s problem in our community water system, there were families that did not have access to clean water. They would often approach me, or even go to my house to relay their problem and seek help. 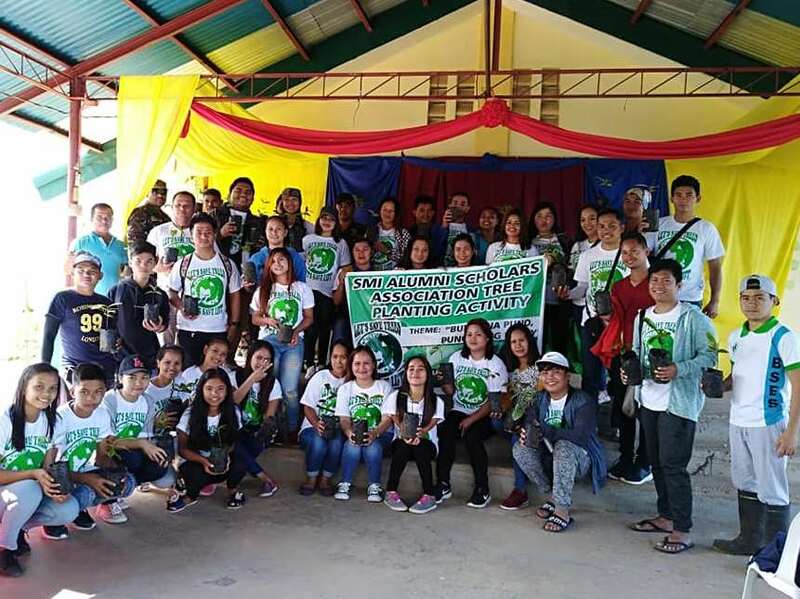 In response, the barangay council allotted a portion of the community development fund provided by SMI for the rehabilitation of the water system, particularly the damaged reservoir. With the repair of the reservoir, water now gets to the households and flows straight from their faucets. It saved them time and effort from having to fetch water near the river. The project was able to benefit 50 households in Purok Paghiusa. Each household only needs to contribute P50.00 per month for the operation and maintenance of the water system. Because of the repair, the barangay council was also able to install a community faucet that is open to all residents of Brgy. Liberty for free. The water system rehabilitation project has been a big help, not only to the 50 households but to the whole community. As barangay officials, we are working hard to serve the needs of our constituents but our resources are limited. That is why we are thankful to entities like SMI for extending assistance. We hope that the company will continue to assist us so that we can fund more community development projects for the benefit of our community members. Kag. Edy M. Delig, 48 years old, is a Barangay Kagawad of Brgy. Liberty and Chairman of the Committee on Infrastructure. 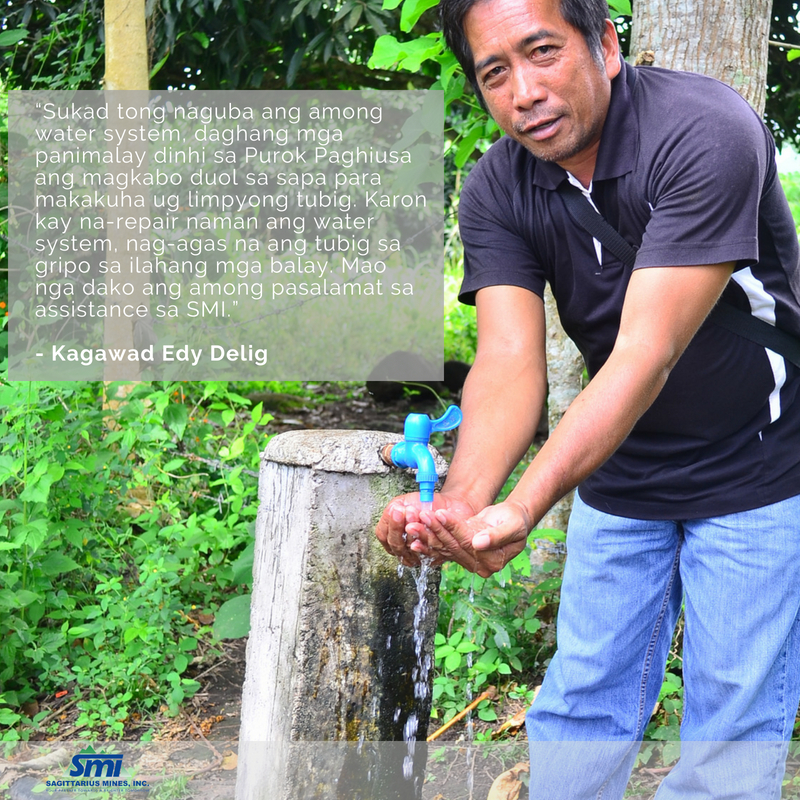 The water system rehabilitation project is part of the community development fund assistance provided by SMI to Barangay Liberty in 2017.